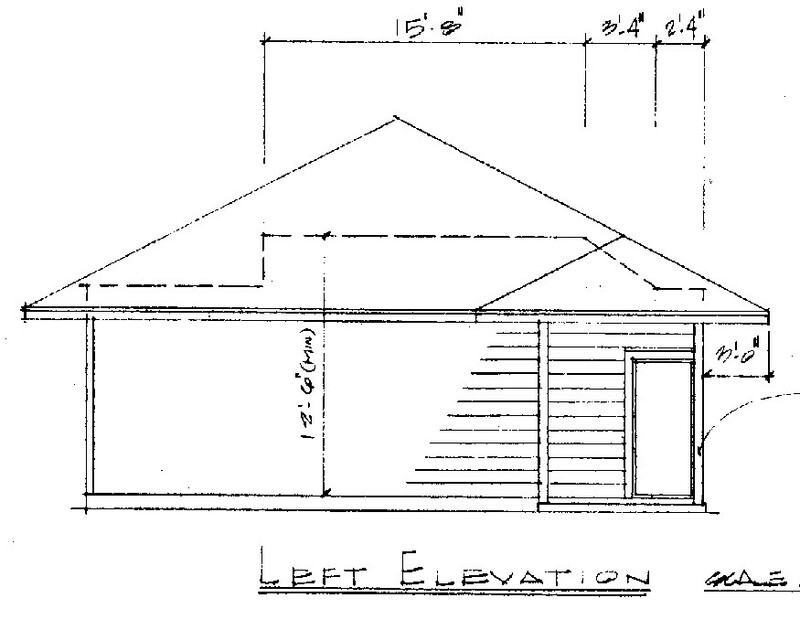 After a protracted legal negotiation with my Home Owners Association, I obtained approval to build a 36' x 30' garage in the back yard. 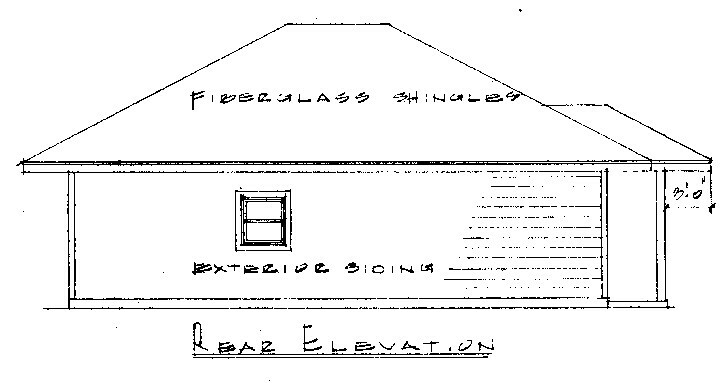 I am submitting detailed plans to the HOA for final approval. Once that is done, I can have my contractor start building. I have a budget that includes various tools and equipment. I plan on getting a 2 post asymmetric hoist that has a 14' height. 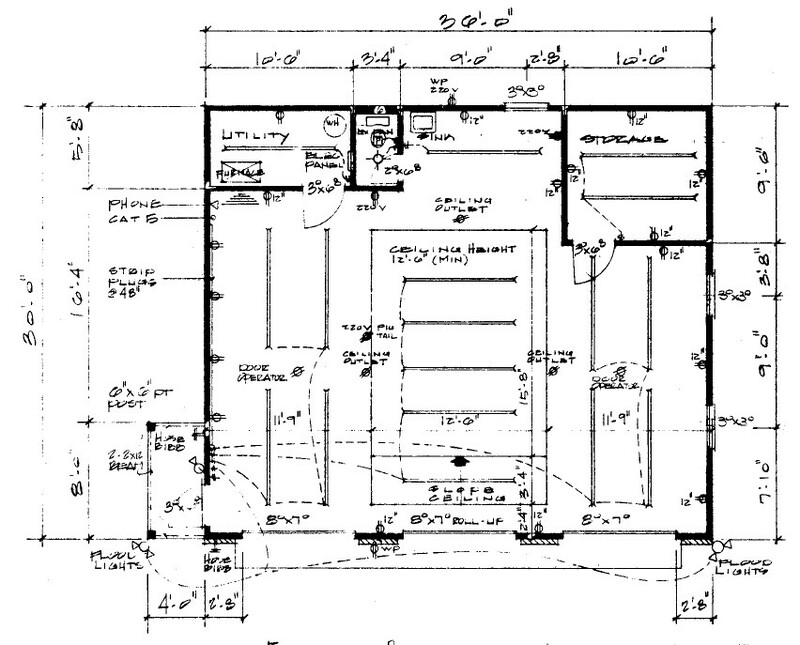 Here in Florida, building codes become much tougher and expensive to meet once the walls become higher than 10'. 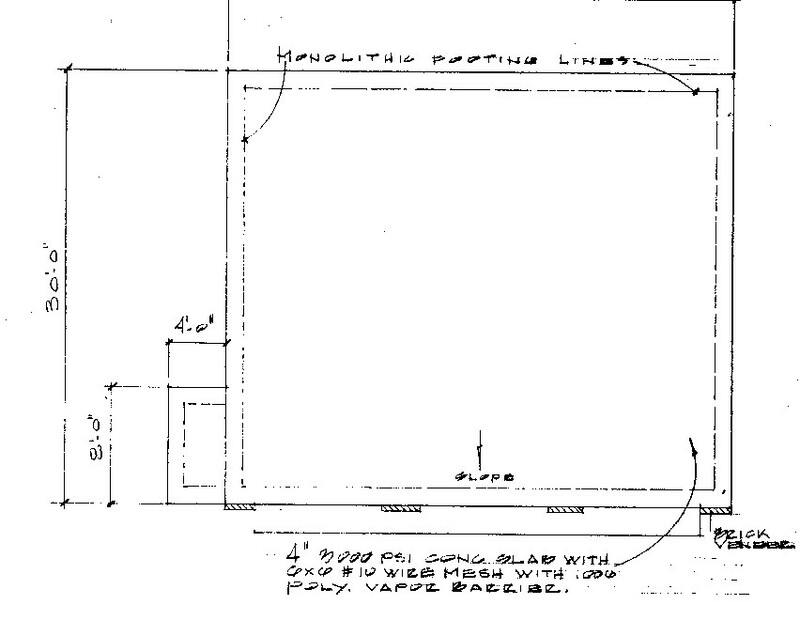 You'll see in the plans a "cut-out" in the ceiling in the center bay for the hoist. I also have designed in a number of 220V outlets for A/C, welder, hoist, compressor, and outdoor pump to drain waste water away. I've also included 27 double-light 8' fluorescent fixtures, as us old-timers need more light than young whippersnappers. Florida codes mandate that all electrical wiring be stapled to joists; thus it becomes very difficult to add wiring after the drywalls are installed. I figure it is easier to remove lightbulbs than to install additional lighting fixutres. 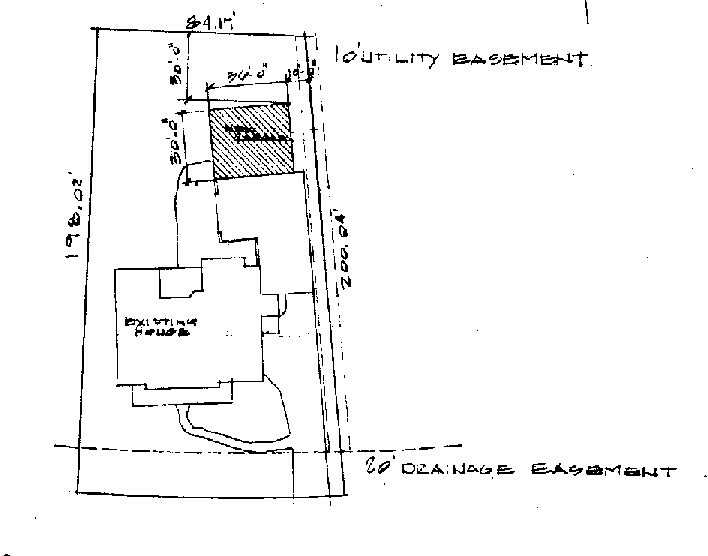 The garage will have a sink, toilet, and a storage area for household boxes and such. The left wall will be for tool boxes and workbenches; the right wall will be for shelving. 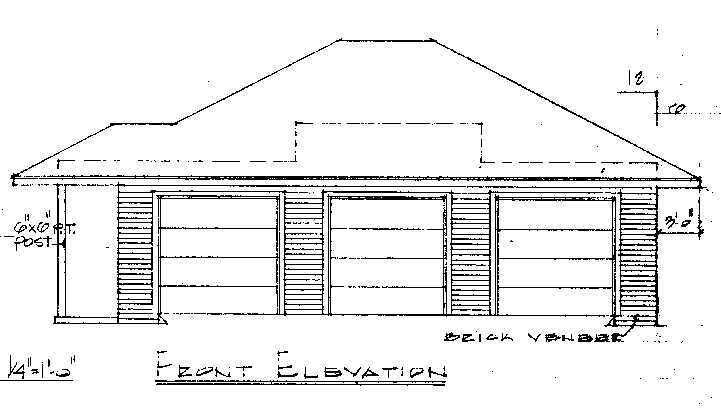 The two outer garage doors will be standard garage door openers, but the middle bay, with the hoist, requires a manual roll-up door to clear the hoist area. Most importantly, there will be cable modem connections and phone service, so that I can access the internet easily. The area immediately in front of the utility closet will be my "office". Tee Hee! The pictures below are thumbnails, so feel free to click on any of them for blow-ups. I've scaled the full-sized pictures to be less than 1000 pixels wide. 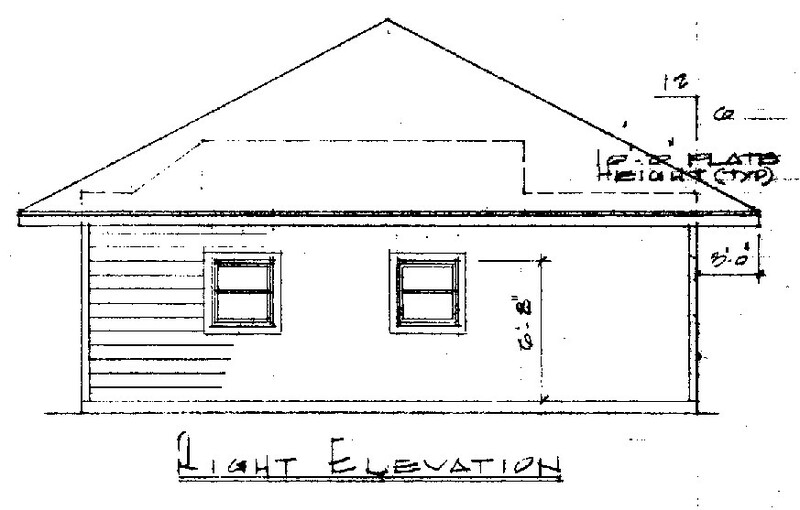 Here's the basic plot plan of the house and property. North is to the top. vegetable garden immediately to the left of the garage. center bay will have the hoist. This is the front view of the garage.